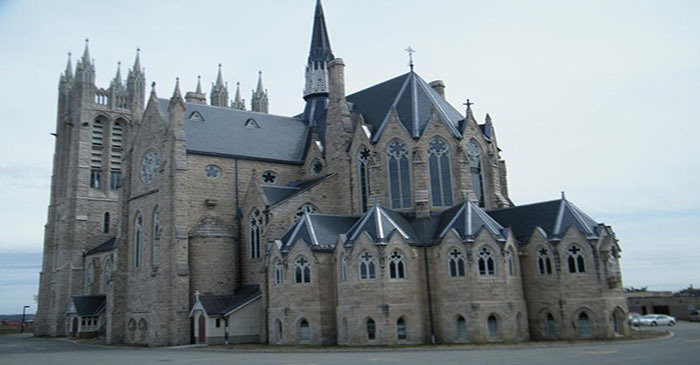 This Roman Catholic gothic style church was built between 1875 and 1883 using local limestone. Its 200 feet twin towers were completed in 1926. 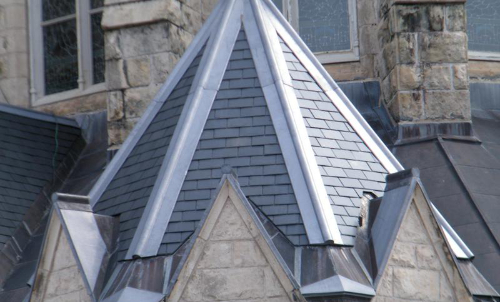 To this day it is one of Guelph’s longest construction projects as it took almost 50 years to complete. According to Guelph archives, the founder of Guelph (1827), John Galt, appointed the land at the top of the hill for this church to rival St. Peter’s Church in Rome. “Our Lady” as the locals call it was designed by Irish architect, Joseph Connolly. During his time in Ontario, Canada he built 5 churches and refurbished more than 40. It was designated as a National Historic Site of Canada in 1990. 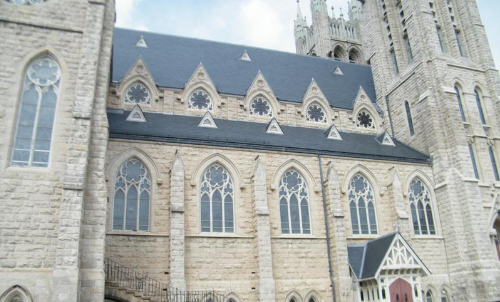 In 2007 the entire church underwent major renovations which were estimated between $10 to $12 million. 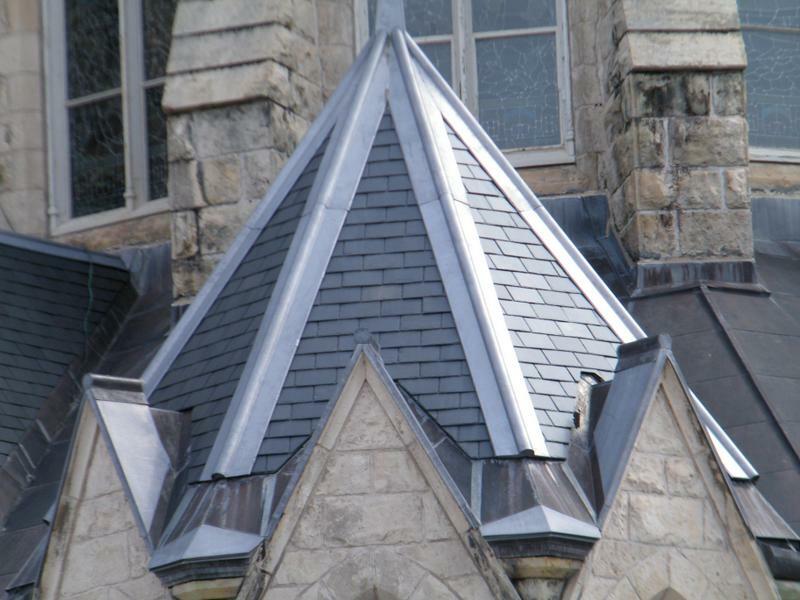 In 2010, through the generous funding of the Government of Canada and the National Historic Sites of Canada Parks Canada Cost – Sharing Program, approximately $425,000 was granted for the roof restoration. We supplied our North Country Unfading Black (140 squares of 18” x 12” x ¼”, 80 squares of 16” x 10” x ¼” and 40 squares of 14” x 10” x ¼”) for this project. 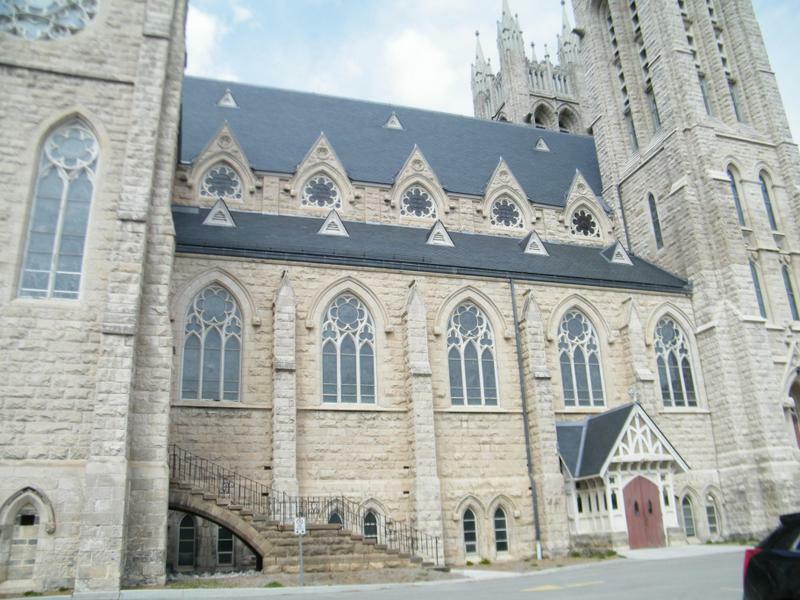 Next time you are in Guelph, Ontario be sure to check out this church which is located at 28 Norfolk Street.